During my classes and workshops I strive to create a positive and encouraging environment for my students to feel inspired. In all my classes I work one on one with each student with the belief that not one student is at the exact same skill level as another nor do the students have the same tastes in style or preference in artist practice, each person is unique and brings something different to class. My goal is for students to leave feeling confident to continue to practice their skills and create art at home. Using pencil, charcoal, conte, and pen we will be using different techniques to create interesting and dynamic works of art. There will be a heavy focus on light and shadows through the exploration of shading, crosshatching, and line weight. 3 Wednesdays 5:15-6:15pm Apr.6, 13, 27. We will spend 1 class exploring watercolor, 1 class on acrylic, and 1 class on oil paint (with no solvents). We will learn different techniques and the elements of design while looking at different types of subject matter. 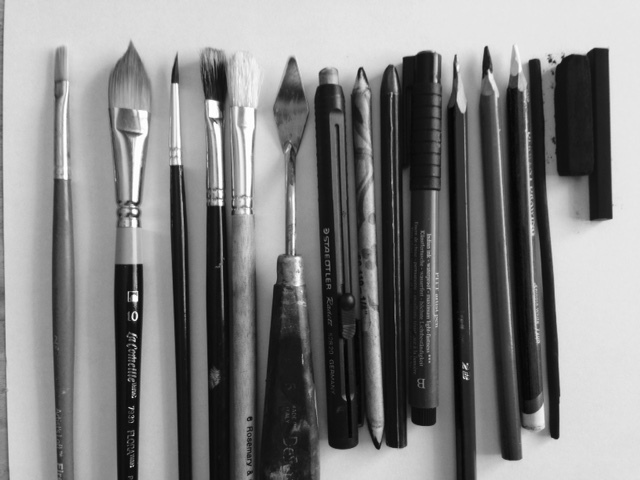 We will spend 2 classes exploring watercolor, 2 classes on acrylic, and 2 classes on oil paint (with no solvents). We will learn different techniques and the elements of design while looking at different types of subject matter. Projects in this class will be different than Kids Painting I. Bring your mom or loving supporter to celebrate mothers day weekend with a workshop that inspires creative growth while oil painting fresh cut flowers. This workshop is all about color and brush strokes. We start with looking at inspiring paintings and dive in with lots of one on one instruction. Interested in private instruction or a customized course? Contact Daphne. In your choice of oil, acrylic, watercolor, or gouache we will be exploring different subject matter and genres of painting which will push us to learn new techniques. This class is open to all skill levels, this is a great way to explore painting whether you’re new to painting or to build on already existing skills of an intermediate or professional level. Supplies required. Great for beginners and intermediate skill levels. We will explore different drawing techniques with the goal of being able to draw the world around us. There will be strong emphasis on shading, texture, and composition. Bring in 5 to 10 of your photo images either professionally printed (must be on photo paper) or on a tablet and we will go through what to look for in reference material and how to use reference material to get across your ideas. This is open to all subject matter from figurative, landscape, cityscape, still life, even abstract. We will then start on one painting using the medium of our choice. Open to all skill levels. Supplies required. We will be working from live clothed models with a focus on creating likeness. We will cover facial anatomy and discovering the subtleties that describe a persons individuality and personality. We will also learn about light and shadow, painting hair, and clothing. This workshop goes well with the previous nights free portrait painting demo by Daphne. 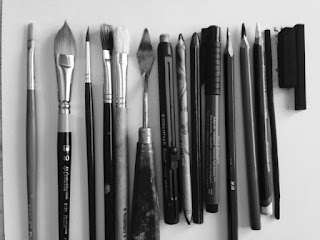 Get inspired and the next day get your brushes wet. All skill levels welcome.Supplies Required either oil paint or acrylic. Working in charcoal from a live model we will discover the nuances and magnificence of the human form. We will practice measuring and proportion, how to create volume, understanding anatomy, along with expressive mark making. Plein Aire painting outside at Rotary Park in Stony Plain. Using your choice of either acrylic, oil, watercolor, or gouache we will be painting the beautiful park around us. There will be a heavy focus on color.